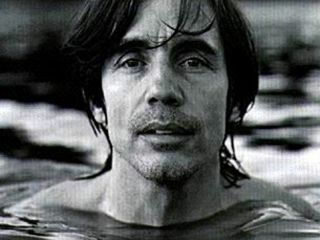 Jackson Browne is saying Hold On, Hold Out to Republican presidential nominee John McCain, and he's suing both the senator and the Republican party for using his song Running On Empty in a recent TV commercial. In the suit, filed in US District Court in Los Angeles, Browne claims that McCain and the party did not obtain permission to use the song for an ad in which "Senator McCain and the Republicans mock Democratic candidate for president Barack Obama for suggesting that the country conserve gas through proper tire inflation." Jackson Browne is seeking unspecified damages as well as a permanent injunction prohibiting the use of Running On Empty in any form by the McCain campaign. "Not only have Senator McCain and his agents plainly infringed Mr. Browne's copyright in Running On Empty, but the Federal Courts have long held that the unauthorized use of a famous singer's voice in a commercial constitutes a false endorsement and a violation of the singer's right of publicity," says Browne lawyer Lawrence Iser. When informed of the lawsuit, John McCain responded, "Fine, whatever. Can I get that song by Sir Mix-A-Lot? Yeah, you know the one I'm talkin' about."